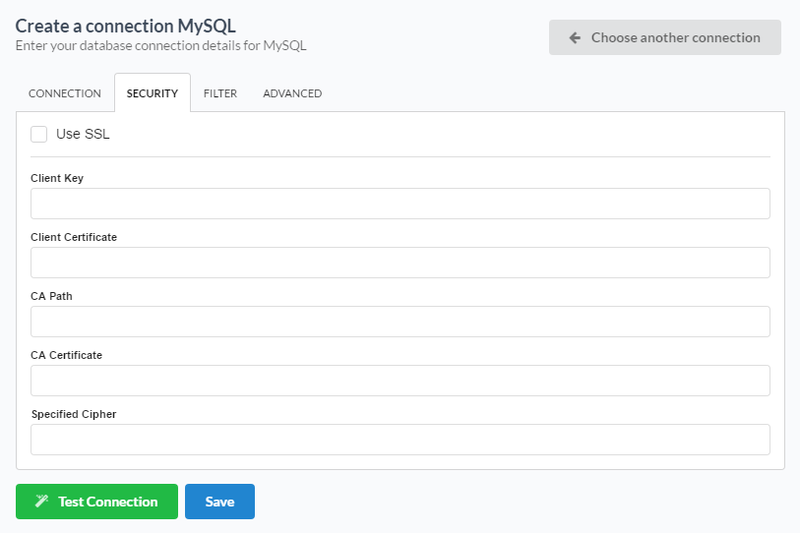 The automatic installation already comes with the MySQL extension only needing to connect with the database. If you are using your own preconfigured environment, you will need to enable the MySQL extension in PHP. If you are using MySQL 8, due to the PHP 7 bug, an error occurs when trying to connect to the Scriptcase. Click here and see how to work around this error. 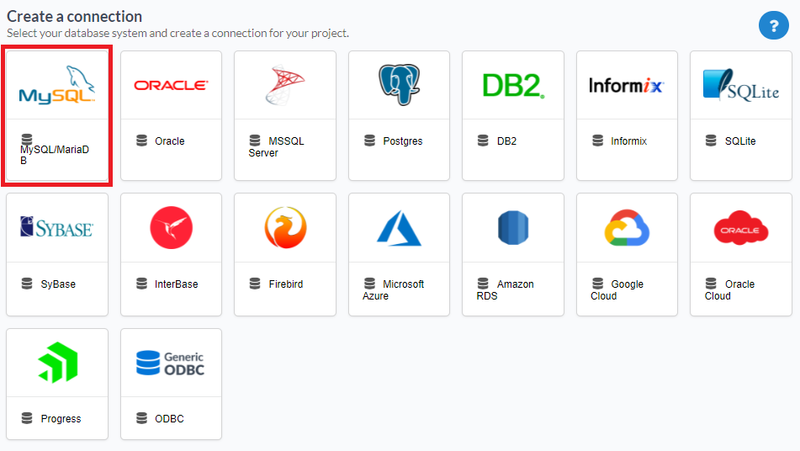 The automatic installation already comes with the MySQL driver, only needing to connect with the database with ScriptCase. 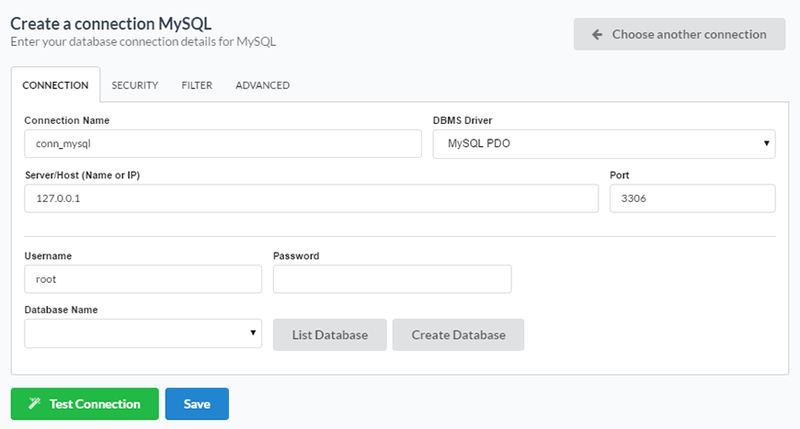 DBMS Driver : Allows you to select the drivers: MySQL PDO. Server/Host (Name or IP) : Insert the name or IP of the server where the Windows database is located. Port : Define the port used for the connection. By default it is 3306. Use SSL : Activates or deactivates the use of secure connections with Windows. Client Key : Path to the client’s private identification key in the format PEM. Client Certificate : Path to the client’s public certificate key. AC Path : Path to the directory that contains the Authority Certification (AC) in the format PEM, if used, it should specify the same certificate used by the server. AC Certificate : Path to the Authority Certificate (AC) in the format PEM. This option, if used, should specify the same certificate as the server. Specific Chipper : A list of permitted numbers to use with the cryptography of the connection. If one of the numbers is not supported, the SSL connection won’t work.